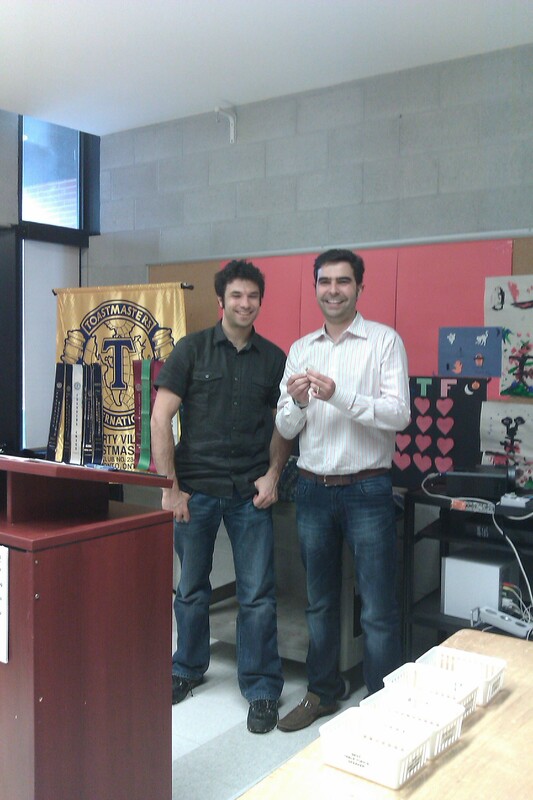 Two great photos to share which capture a few recent events at the Liberty Village Toastmasters Club! First off, we want to congratulate Roberto for being inducted as one of the newest members of LVTM! Roberto was first invited to visit the club by one of our current members, Andreea, and has since become one of our most active attendees. Roberto: looking forward to watching you grow as a public speaker at LVTM… better get on that Ice Breaker!! Eric (left) welcomes Roberto (right) to the club! 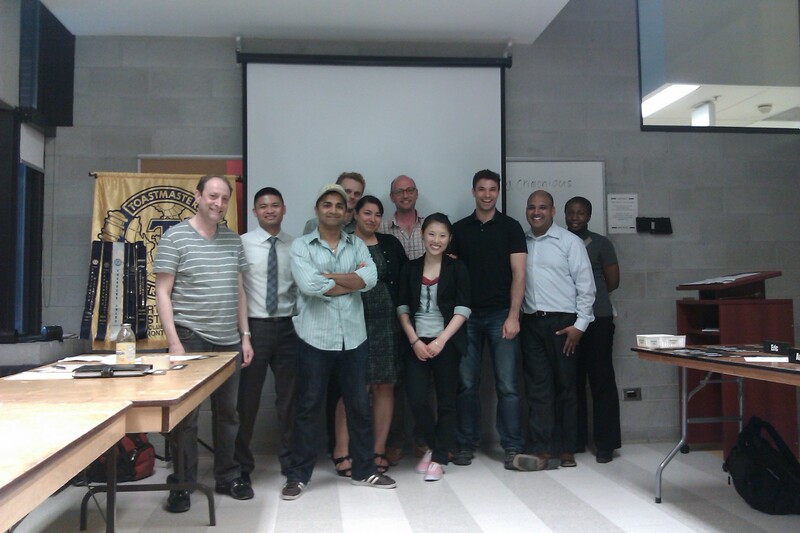 Secondly, we’d like to once again congratulate the newly elected members of the Liberty Village Toastmasters Executive Team! We’ve got a passionate mix of veterans and newbies who can’t wait to leave their mark on the club. Can’t wait to see what they’ll do to make LVTM the best place to “speak, share, and grow” in Toronto. Good luck! The newly elected LVTM Executive Team - good luck! We’ll see you at our next meeting!